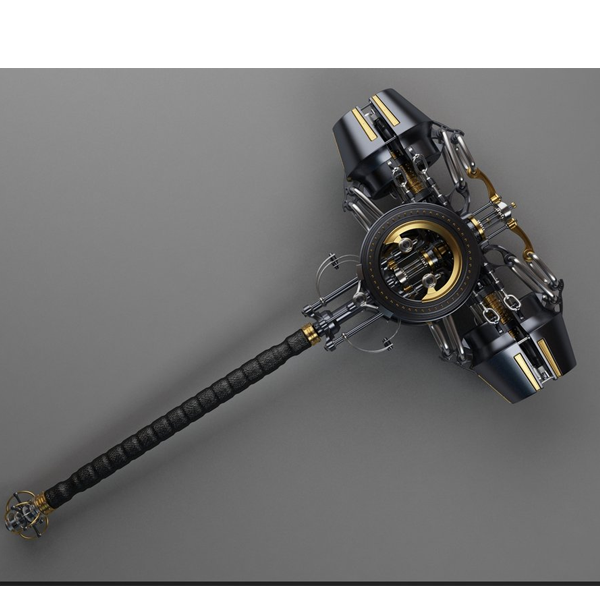 Pumpern Bar: A large hammer artifact that I was soul-bound to during the Ignatius crisis. After Ignatius defeat at my hands, I kept Pumpern Bar and used it to claim ownership over the lands of Excelsior itself. With its power, I assume control over the lands of Excelsior, bending their will to me and gaining boons from them (see abilities list). The artifact itself is large and strong, unbreakable by most known means. It has the strength to punch through metaphysically enhanced metals and materials of great strength. I have the ability to summon it to myself at any time, being its soul-bound to me, and it enhances my spiritual/soul related strength greatly. 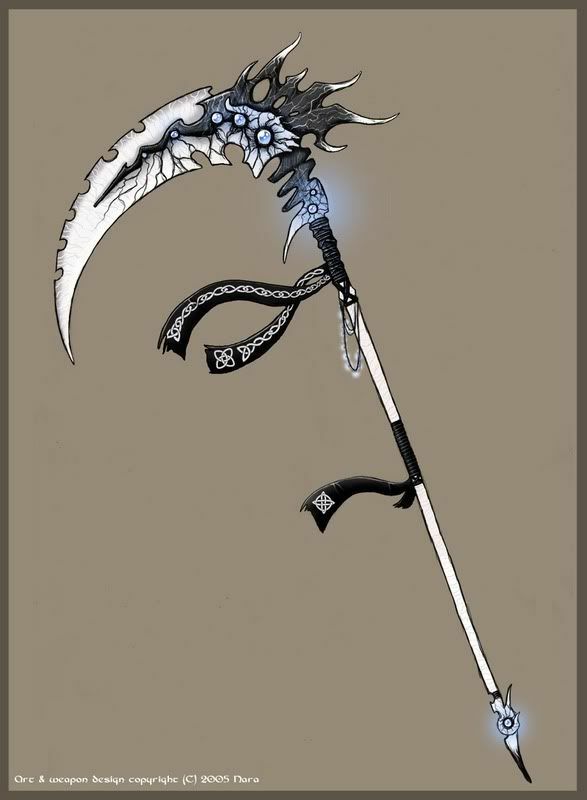 Soulbane: The final Scythe in the Peto Simultas that accepted me as barer. 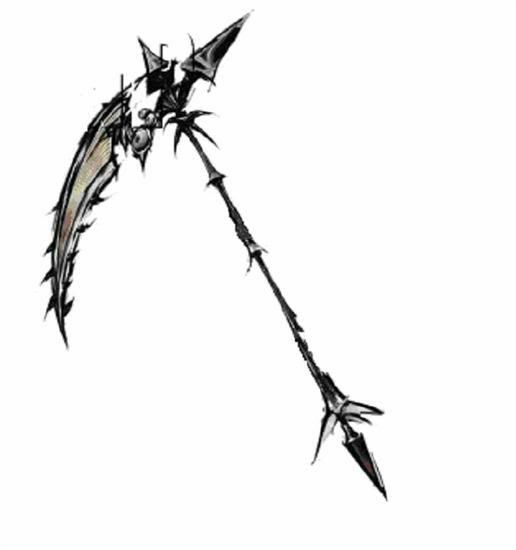 This scythe is a conduit to other scythe's powers in the Peto Simultas, giving it the ability to channel any and all of my other scythes abilities, thus allowing me to effectively wield all my scythe's and their powers at the same time. 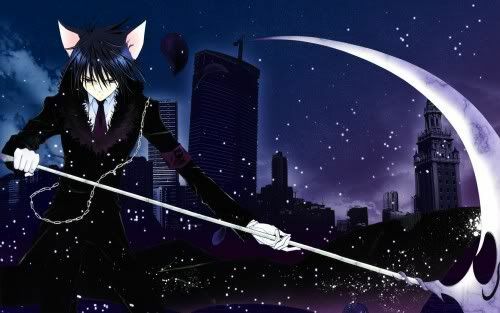 I can still wield my other scythes if necessary. Shadow Slice: A scythe artifact that I found after falling into an unknown cavern while escaping the Eclipse who had captured me. 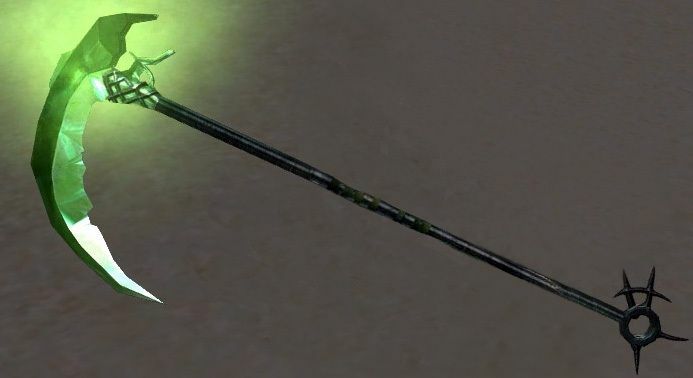 It has the power to bend and manipulate shadows as well as the power to slice through any shadow or dark power/energy. It also gives me the ability to move through my shadow and other shadows. 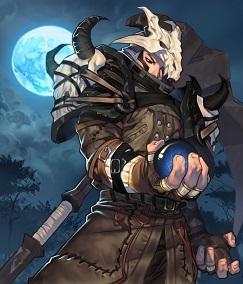 Once/If having acquired shadow and Shaddow powers, it strengthes them 2x. Hammering Desire: The second scythe artifact that I found that is part of a Peto Simultas that is accepted me as its barer. Hammering Desire has two abilities. The first is that it carries a large force behind each swing, the force equaling about 50 tons of pressure which equals about 100,000 lbs of pressure. The second ability is that it can take away the most burning desire of whomever it hits. The desire then is transferred to the person wielding it. Venom Tooth: The third scythe artifact that I found that is part of a Peto Simultas that is accepted me as its barer. It allows me to unleash venomous/poisonous attacks in either liquid or gas form from it, as well as also having this coursing through it, would naturally poison someone who is cut by it. The venom is a rare agent which has a magical side to it, so that a person infected not only will be physically sick, but their powers will also become less effective, becoming "sick". Poison Element will be boosted 2x in power. Boiling Glory: 5th scythe artifact of Peto Simultas. It has the ability to unleash Soul-flames, which burn both physically and spiritually. These can be combined with Soulforce to create a lethal spread of greenish Soulfire. Cerebrus of the Bloodsea: 6th scythe artifact of the Peto Simultas. It has the ability to summon Soul-Tide, special spiritual water from the river Styx. The water has the ability to heal spiritual wounds and cause temporary amnesia. It is purple/pink in color and looks like flowing souls. It cannot be frozen or evaporated like normal water, because it is more of a spiritual force. 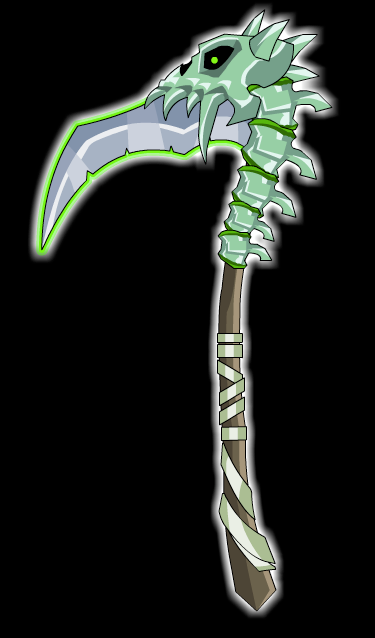 Shiver Scythe: 7th scythe artifact of the Peto Simultas. This scythe was forged from a shard of the Legendary weapon Shiver. It boosts the user's control over Ice/cold element x2. It also has the power of Nullification upon touch, giving it the ability to nullify a person's control over a certain power upon touch. When sliced, whatever power a person was using at the time or last used will be blocked until the end of the battle. Nullification can be overridden by other powers the person has, but it might take time.